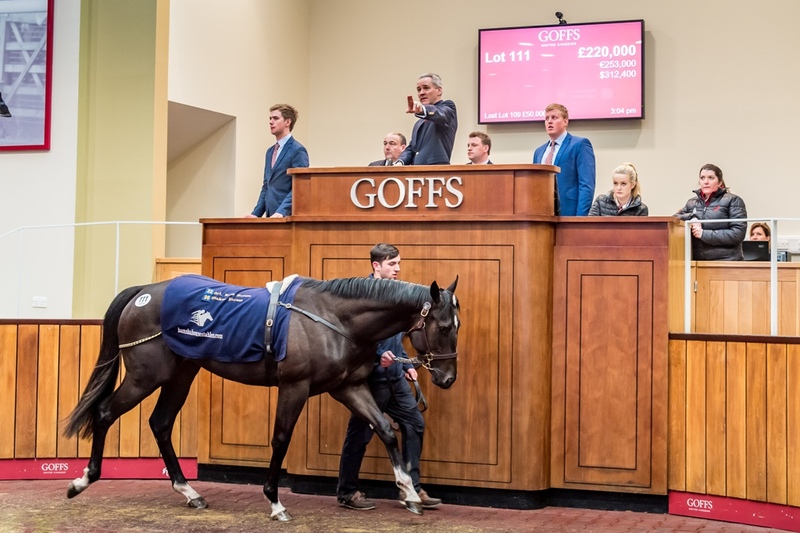 An impressive international buying bench featuring a number of new faces descended on Goffs UK for the Doncaster Breeze Up Sale which saw 13 lots sell for in excess of £100,000, up on the number achieved at last year’s record sale. The sale saw buyers in attendance from around the world with buyers from America, Asia, the Middle East and throughout Europe. With every lot entered in the €1,000,000 Swedish Derby & Oaks Series, 13 lots sold to Scandinavian interests while buyers from Spain and Italy were also successful. Topping today’s trade was Bansha House Stables’ Kyllachy colt (Lot 111) who was sold to Michael O'Callaghan for £220,000. Con Marnane’s Bansha House has an excellent record at the sale having sold the 2016 Royal Ascot Group 2 Norfolk Stakes winner and now sire Prince Of Lir. Three lots sold for £200,000 or more with Oaks Farm Stables’ Toronado filly (Lot 31) selling to Blandford Bloodstock for £210,000 while Brown Island Stables’ Showcasing colt (Lot 89) went to the bid of the Cool Silk Partnership and Stroud Coleman Bloodstock for £200,000, who also purchased Prince Of Lir. “We marketed this sale extensively and travelled worldwide to attract an international buying bench and we achieved that and it was wonderful to welcome a number of new faces to the Breeze Up Sale. “Trade was strong throughout the day and the increase in this year’s number of six-figure lots demonstrates the strength at the top of the market. The old adage ‘breeze well – sell well’ was clearly evident.